Aero India is easily one of more sought after events that happen in Bengaluru, India. A biennial event, it happens every 2 years at the Yelahanka Air Force Station and is quite a visual spectacle. This year, after quite a political struggle of moving the aero show to a different city, it was decided to continue holding it in Bangalore/Bengaluru itself. So be prepared to witness the best showcase of aerial military strength and skill from 20th Feb 2019 to 24th Feb 2019 at Aero Show 2019. Now, who wouldn’t want to witness some hair-raising stunts by our own Suryakirans and Sukois. In fact I hear there will be the cobra maneuver on display as well. With every passing year, the military strength of India has been growing impressively and so has the skill. So I am sure that Aero India 2019 is not going to be any different in terms of its display of talent. What makes this year’s show even special are the Drone Olympics being organized as competition. This event will allow startups and individuals to showcase their UAVs in various categories. Like my post from previous year edition in 2017 and 2015, I have tried to cover all aspects of Aero India 2019 in one place. Being a government run event, not all information is as easily available as one would desire. I am hoping this article would save time and help people get answers to all their questions regarding the event. ADVA Visitors (Air Display Visitors) will be allowed to only visit the Air display area during afternoon of 20th Feb 2019 and full day on 21 st -24 th Feb 2019. On 21.02.19, ‘Drone Olympics’ will be held in Forenoon and ‘Flying display’ in the Afternoon session. ADVA Visitors will to be allowed to visit both the events with the single ticket with double entry allowed on this day. Please buy general visitor ticket, if you would like to visit Aeroindia exhibition area. On most days, ADVA tickets are single entry and you can stay till 5pm inside if you would like to watch multiple air displays. The only exception being 21st Feb when the ticket allows you double entry for Drone event and Air Display. General Visitors would be able to visit exhibition area during 23-24 February 2019.
Business Visitors would be able to visit exhibition area during 20,21 and 22 February 2019. Over the years, Aero India ticket booking process has improved by leaps. I still remember the time in 2015 when people had to go banks to register themselves. As online bookings are getting popular, its encouraging that government events are also leveraging these platforms in full Josh. Access Rights – Access rights is only upon security clearance and validation of Govt ID proof. Foreigners need to register themselves on the Aero India official site directly. I have mentioned the individual registration links and pricing below. How to use the ticket to enter the event? One will need to carry the online confirmation print out along with a valid ID proof issued by Indian government. Foreign nationals need to carry their passport as a proof to enter the event. The security will be really high and one may not be allowed inside without the proper ID proof. Are Kids allowed at Aero India? Yes, kids are allowed in the air show (ADVA) and static display area. Kids below 5 years do not need to register. The Registration process for kids above 5 years is the same as adults. They can use their parents ID cards along with their school ID for entry. Kids below 16 years are not permitted in the business display area. Because the exhibition is going to be crowded please take special care of your kids. There has been reports that one unattended kid actually entered the runway. Take care to avoid accidents. You can reach the venue in your own car and park the same near Gate no.8 or you can choose to get a cab. Here are a list of best cabs from airport or other places. One cannot carry food with them inside the ADVA or Exhibition area. You can carry a bottle of water. There are a lot of food stalls that will be available at the venue to ensure no one goes hungry. Because these food stalls are by popular brands who are paying big bucks, expect the food to be expensive than usual. Since over the last two years, digital payments have become more common, some brands may accept PayTM and Google PAY, but to be the safer side, carry cash(with change) to ensure you don’t face issues in payment. This tip is based on people who attended the event last time. Apart from water, I would recommend you to carry hats, a blanket to spread, sun glasses, sunscreen, umbrella, camera and some precautionary aids if you have issues with loud noise. Based on latest update provided by Vaibhav Ravi, Cameras, Umbrellas and Backpack were allowed to be take inside even though it says otherwise on the ticket. Food is not allowed. There aren’t too many chairs available. So incase you have one of those decathlon folding seats, take them along. Drone Olympics is a new addition that will have some really interesting competitions and showcase the latest development in the world of drone both military grade and commercial one. In the case of a tie, the winner shall be determined based on the Flight time first, then the Live transmission range, and then the detection of the human sized targets. Shapes requiring the same number of UAVs need to be done in the same flight. Metro has become quite a life line for Delhi today and has always been one for Kolkata. Bengaluru has been managing with a semi-operational Metro for quite a while now. Its called Namma Metro and things are about to change in 2016 with the launch of the full purple line via Majestic. Hi.. Me & my wife wanted to watch both air display as well as the exhibition so i bought two tickets for general visitors. 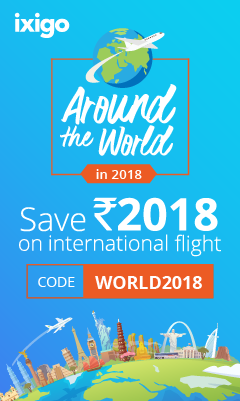 Booking was direct through aero india website and not from bookmyshow. Seeing the information available online including bookmyshow, we are now confused whether general visitor ticket allow us to watch the air display? I understand ADVA tickets is only for Air Display Area and does not allow to visit exhibition. and General visitor tickets allow access to exhibition area but does that mean you cannot watch the air display? Kindly explain the above queries to the best of your knowledge. Hello Somak, General tickets will give you access to the Exhibition area and will also allow you to see the air show. My understanding is that you can see the air show from the exhibition area itself. Will re-valildate this. Last time, these were allowed. Based on my conversations with some attendees, cameras and umbrellas are allowed. Do share your experience of the Aero show. Hi, thanks for your information posted here. However, I was informed that camera, backpack, power bank and even umbrella is prohibited. It is printed on the ticket. Is it a new measure or just another rule that no one will follow? I’ve sent an email to Aero India official site but no reply received yet. Yes, this is a confusing new rule. Most electronics are not allowed but last time cameras were allowed. Infact they will be running an instagram photo contest during the event which should make camera OK to carry. Will find more on this and update. If you hear back from them, let me know. Based on my conversations with some attendees, cameras, umbrellas and backpacks are allowed. Power banks are not. Do share your experience of the Aero show. Can we see the Air show, as we bought the ADVA ticket. Whats the difference between ADVA and general visitors Tickets? Yes you can see the show. The general tickets also provide access to the exhibition area which is not included in the ADVA tickets. Also, general tickets are only available on weekends when it will be lot more crowded. How can i buy three tickets as it is not allowing me to add multiple. Did you try on bookmyshow? Is there any difference between ADVA ticket and general ticket apart from exhibition. Not really. The Air Show viewing area can be different. Spoke to yalahanka Air station chief who is responsible for the security , he said , camera , backpack and other mentioned on the ticket are strictly prohibited. And there won’t be any locker provided. Thanks. Will update the post. Based on my conversations with some attendees, cameras are allowed. Do share your experience of the Aero show. I dont have any Govt ID proof for my kid. In the registration process they are asking for govt approved ID proof number only. I have dont have his addhar card as well since i am waiting for it to come. Please help. I dont want my kid to miss it. School ID card would do of the kid if the accompanying guardian has a proper govt ID proof. i tried to book tickets through Book my show. Can I please know how can i book multiple tickets ? I wanted to know if ADVA ticket would have static display of aircrafts? There are some static display of aircrafts but not sure if ADVA has access to the same. We will have to wait for reports from people who visit today. WoW, how do they plan to run an instagram contest without a professional camera? Clearly they don’t want to award the audience. I have been wondering the same. Looks like marketing team did not sync with operations. ? How to reach the venue by public transport and how far is gate 9 from the Bus stop if I come by BMTC bus? I have a General Visitors ticket, Will the Flying display be different on the 23rd and 24th? If yes, which is the best day to view the Air show. Hi, I bought tickets for AERO Show. Is there any registration required before coming to show? If yes please let me know the process. Thank You. Are kids of age 6years allowed in the General Visitors ticket (Rs 1800)? based on today’s experience is there an update if camera,umbrella is allowed? You are doing a great job with this. Every one of us thank you for the help. We are about to leave for the airshow, but I am in split thoughts of carrying camera. It is very strange that cameras are banned in an airshow. Can you please update us. I have brought 3 Tickets for my family on 23rd 9.30 P.M. Actually I am busy on 23rd Can I Watch the show on 24th Please let me know asap. Any phone number I can reach to discuss more on this. Me and my wife bought Rs 1800 each ticket from aero india website for 23rd February, 2019. Does it mean it’s only for exhibition and not the aero show? I am little confused with that. You will be Able to watch the air show. Don’t worry! Please Please let me know if camera is allowed. I have one SLR camera. As per latest updates, people are allowed to take cameras. As per my knowledge they will not be too different but one can stay and watch both of you would like. Hey Piyush, Any update on Cameras and Backpack ? Nothing different as of yet. Sandeep, based on recent updates from some attendees, you can take both. Hi Piyush, I am planning to go to Aero India venue tomorrow. Can I buy ticket over there. I am planning to get general visitor ticket rather than just the ADVA one. Will I get to see the exhibits tomorrow. Please reply. General visitor ticket is only available for weekend. Buy it online. Thats better. Unaware of this issue. Try cleaning browser cache. Your ticket will not provide you access to exhibition. Only the air display area. The timings mentioned are for air show but you can stay inside all day. I spoke to someone who visited AeroShow. They said that cameras were being allowed and a lot of people were carrying DSLRs. Still carry along with a backup plan incase it’s not allowed. Do update here once you visit tomorrow. Are cameras allowed? I am going for tomorrow morning show. Please confirm. you will be able to watch the Aero show. Cameras are allowed in Aero india display area.Been there on 21st. Thank you for confirming Santhosh. I have exhibitor invitee and entry is from gate 5. Can I view air show as well as exhibition ? I have booked 1800 ticket for 23rd Feb. i have couple of questions. 1. I read few comments on camera being allowed. Do they allow binoculars as well? 2. Any experience of taking car to the venue? is it too congested? Is there enough parking space? 3. Any experience of taking BMTC bus to the venue? Is it better to take the bus instead of car. I have a 3 year kid with me. 1. Yes, binoculars should be fine. 2. There is ample parking space but the approach road to the gates can be a little crazy. 3. I know that BMTC is plying special buses for Aero India. No one has shared their experience yet. Hey Piyush, Just returned from the air show, they allow cameras and Unberellas. I had taken my DSLR with one lens, but there were quite a few guys with long telescopic lens for their cameras. Hi I had been to show,camera are allowed,u can carry water bottles, security checking will be there,volunteers will help u & guide u,good drinking water facilities are available, BMTC facilities are also there from Majestic,Banashankari TTMC.lunch was of good quality, bit high. Hi, is dslr allowed inside? Yes, two wheeler parking is also there. As per my information there is ample parking available. I am not sure if the parking is shared between general and ADVA, mostly yes. We r going with a 2 year old kid. Can we carry kids items as diapers etc.. your reply will help us a lot. Thanks in advance. Yes, you can. That should be fine. General visitor tickets means static display area of aircrafts are also allowed ryt? I went to the show today. Just came here to tell that today they were allowing backpacks, umbrella, water bottle , small foldable stools and some people brought their own food. I wanted to carry an umbrella but didn’t carry one as in the ticket they mentioned it is prohibited. Thank you sharing this vetti. Sir i have left out my initial while booking since it was auto…any issues will take place. Ideally yes but it should be ok unless it’s entirely different. Is power bank ,backbag,camera is allowed? You can see the static display from a distance. May not have complete access. You will be able to view the aero show using the general ticket. It may not from the ADVA area. This is very useful page with lot of Q&A. I had questions for both camera and a very light bag pack. Looks like it is allowed as per your comments. Can you tell me if I need to carry the print out for my tickets of a bar code on phone is OK? Glad you found it helpful. Phone message should be fine. What your thoughts on Fire at Aero India? gutted 300+ cars. don’t you think it’s complete mismanagement? I suggest to use only public transport. It is a very unfortunate event that caused personally caused a lot of pain for me. While I am glad that no one was hurt, it indeed seems like an incident that should and coild have been avoided at all costs. Praising the job of the firemen on how they controlled the fire is not the right way of looking at things. The issue should have been on why it happened in the first place. Unfortunately, very few reports are asking that question. Fire or no fire, using public transport any day is better for the city.